A man who filmed his girlfriend’s pet pug giving Nazi salutes has been convicted of committing a hate crime. 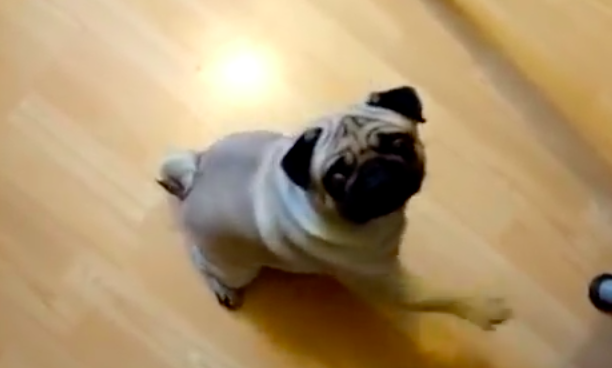 Mark Meechan – known as Count Dankula – filmed Buddha the pug, responding to him saying ‘gas the Jews’ and ‘Sieg Heil’ by raising its paw. After posting the disturbing footage on his YouTube channel, police were alerted and he was arrested on suspicion of committing a hate crime. So apparently Daily Mails YouTube channel got terminated for uploading my Nazi pug video. I don't know if that was specifically why but I don't see why else it would have happened. The video was viewed more than three million times on YouTube after it was posted in April 2016. Meechan went on trial at Airdrie Sheriff Court where he denied any wrong doing, insisting he made the video to ‘annoy his girlfriend Suzanne Kelly’, writes BBC News. Yet he was found guilty of a charge under the Communications Act over the ‘grossly offensive’ video, because it was ‘anti-semitic and racist in nature’, ‘aggravated by religious prejudice’. Meechan is now awaiting sentencing – which will take place on April 23 – and could face a jail term of up to six months, as well as possibly be required to pay a fine. Meehan was described in court as ‘quite obviously an intelligent and articulate man’. The accused knew the material was offensive and knew why it was offensive. Despite that, the accused made a video containing anti-Semitic content and he would have known it was grossly offensive to many Jewish people. A man has been convicted in a UK court of making a joke that was deemed ‘grossly offensive’. If you don’t believe in a person’s right to say things that you might find ‘grossly offensive’, then you don’t believe in Freedom of Speech. Regardless of whether it was ‘a joke’, it was a really stupid thing to do.